Lin Guoguang, chief of the Wuchuan Cantonese Opera Art Troupe, has recently been recognized among the fifth set of national-level intangible cultural heritage representative inheritors by the Ministry of Culture and Tourism. The selection, which lasted two and a half years, consisted of multiple stages, included recommendation, investigation, expert review, and final announcement. The selection committee seeks out people who have mastered a particular craft and are active in passing it down to later generations. Aged 79, Lin has been committed to the southern school of Cantonese Opera for over 60 years. 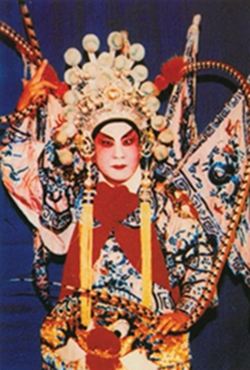 He began learning the craft from Liu Jiarong, one of the founders of the Wuchuan Cantonese Opera Art Troupe, at the age of 12, and became the troupe chief in 1986. Under his leadership, the troupe gained widespread popularity in rural areas, staging about 250 shows every year. It was frequently invited to perform in Hong Kong and Singapore, while also being a regular at regional cultural events such as the Zhanjiang Art Festival and the Guangzhou International Guangdong Opera Festival. In addition to adapting traditional operas, Lin has cultivated a large number of young performers, including Li Weichang, Liu Feng, Chen Baolian, Lu Tingwei, Zheng Yongjian, Lin Tianyong and Zhen Hongying. Most of his students are now top actors in Shenzhen and Foshan art troupes. 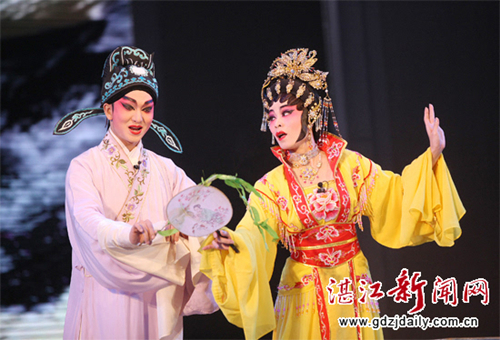 Cantonese opera is a major genre of Chinese opera, which involves singing, martial arts, acrobatics, and acting. It originated in Guangdong province during the late Ming (1368-1644) and early Qing dynasties (1644-1911). Its southern school is known for its exaggerated expressions, demanding stunts, and rough style.